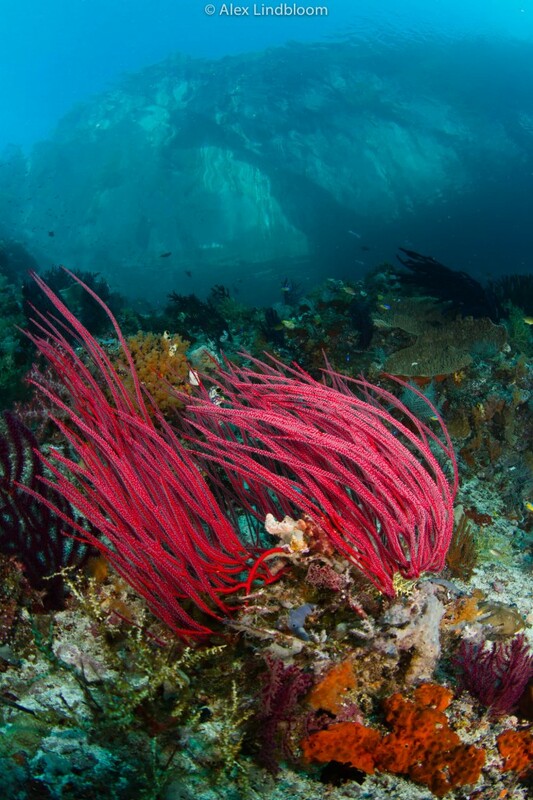 It’s been roughy eight months since my last dive in Raja Ampat and somehow I had forgotten just how spectacular the diving is here. 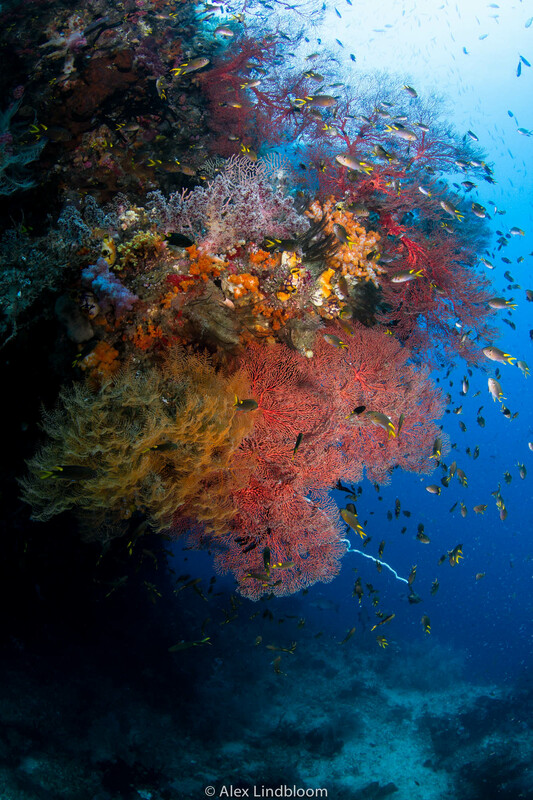 From the second I untangled myself from my back-roll and laid eyes on the cornucopia of hard and soft coral that covered every inch of the dive site, and the amount of fish, and mantas…whoa! These reefs, mangroves and jetties will be my new photographic playground until May and I don’t intend on wasting any time. 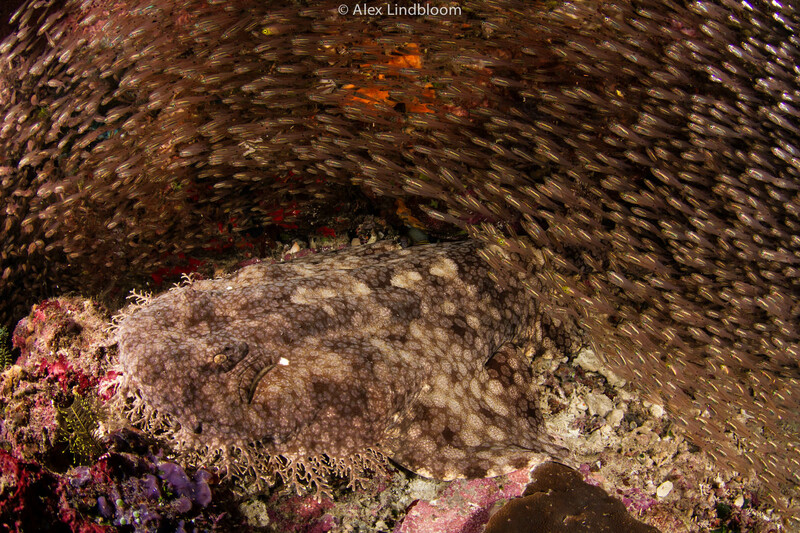 Here is very short list of what I’m most looking forward to for my 2015 Raja Ampat season. Raja Ampat is one of the most photogenic places I’ve ever seen, it’s unusual karst topography transports you to a different world. The abstract islands with their melting limestone faces make you wonder if a shirtless Leonardo Di Caprio is going to come running out of one of the caves with a red bandana, dilated pupils, and offer you a hit of caterpillar. He doesn’t, sorry ladies. 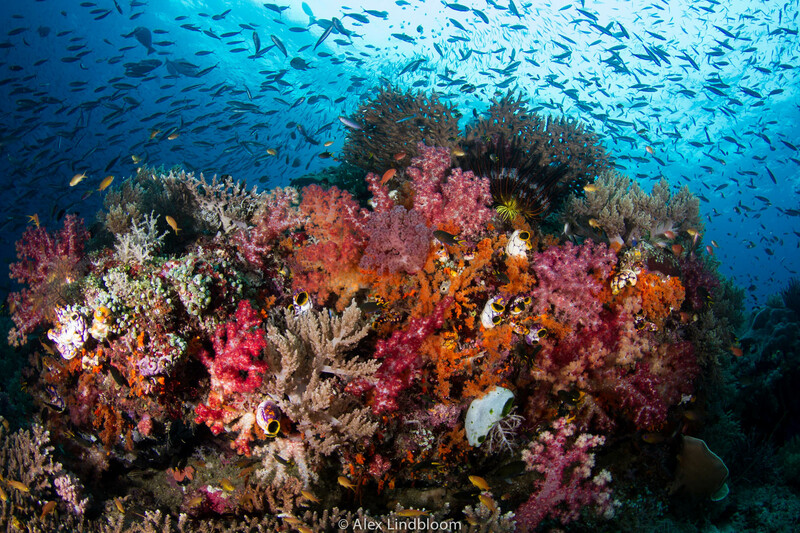 Raja Ampat’s topside beauty makes your mouth water in anticipation for what’s below. 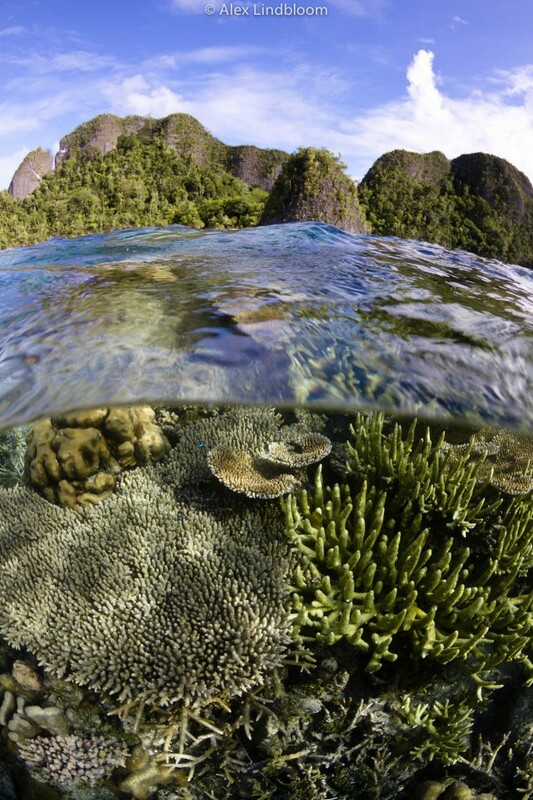 It’s difficult to describe with words or even capture in a photo the depth and beauty of the reefs in Raja. 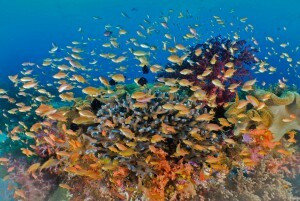 The diversity of colorful coral species, the amount of fish in, on, and around the reef is just insane. All the other places the world that I’ve dived seem to have one or the other; a lot of fish and not a lot of reef, or a lot of reef and not a lot of fish. But I suppose other places aren’t the world’s most biologically diverse! 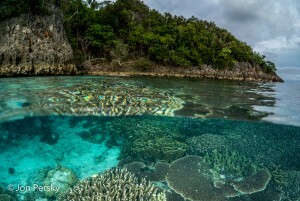 Because Raja’s reefs are so insanely beautiful and go all the way to the surface where they meet with the equally impressive topside scenery, over-unders/splits and Snell’s windows are the best option at an attempt in capturing ‘Raja’ in one image. 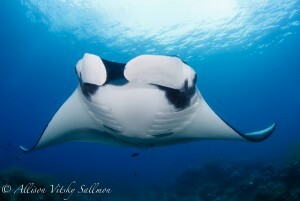 A few years ago it became known that there were two distinct species of Manta Ray. 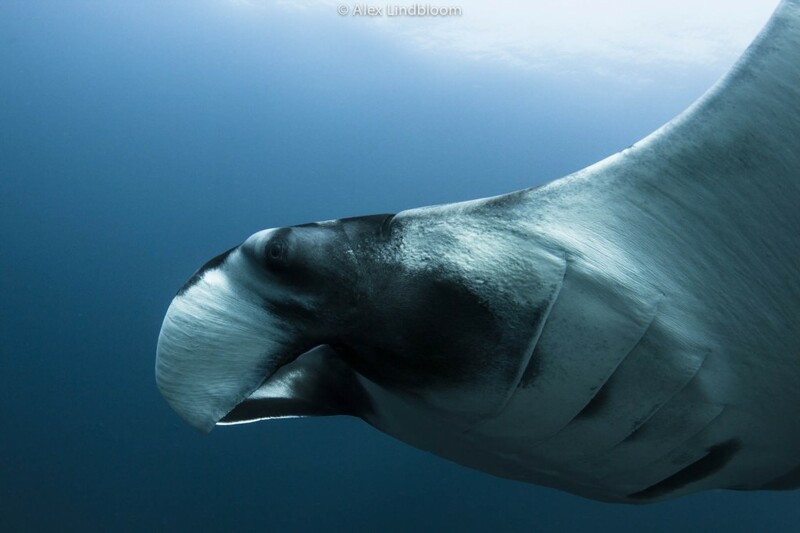 The smaller Reef Manta, Manta alfredi, and the much larger Oceanic Manta, Manta birostris. 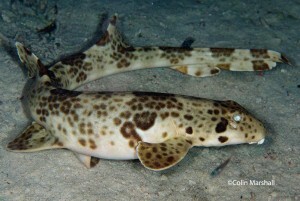 Depending on where you are in the world you are likely to see only one of the two species. 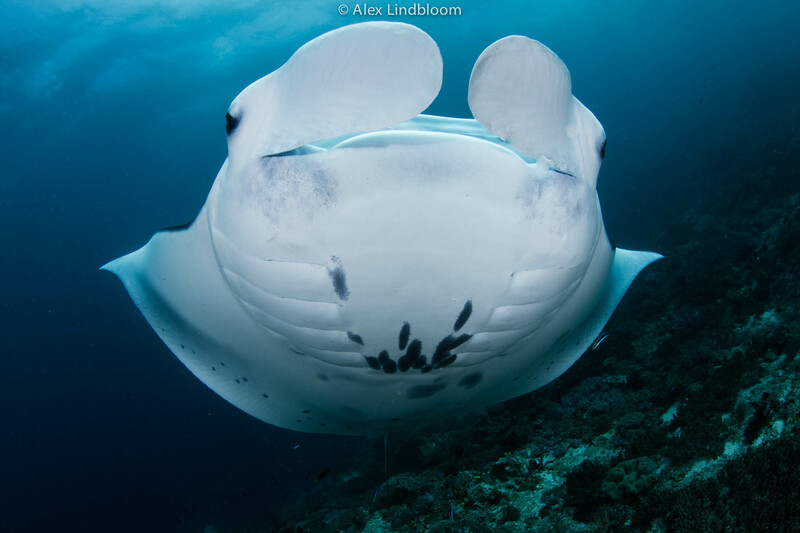 For example, in Thailand if you find yourself looking at a Manta, you’ll be looking at an Oceanic, but if you are in the Maldives you’ll be looking at a Reef Manta. 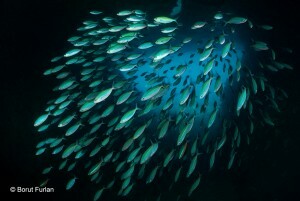 There are very few places in the world where both species can be seen together and Raja Ampat is one of them. Spotting the differences between the two species is quite simple and I find it adds a bit more excitement to a manta dive…as if it was needed. 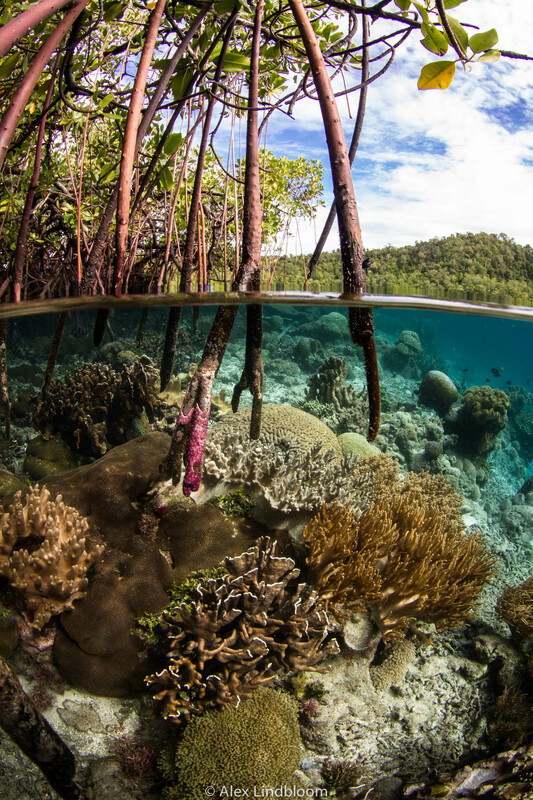 Writing about diversity in Raja Ampat is sort of a cliché blanket statement that basically covers all the bases without really getting into any real detail, but I’m going to try otherwise the debate will go on forever. I find the diversity in Raja almost frustrating because it’s really impossible to pick just one or two points of interest on a dive to really focus my camera on, let alone choose a lens to use. 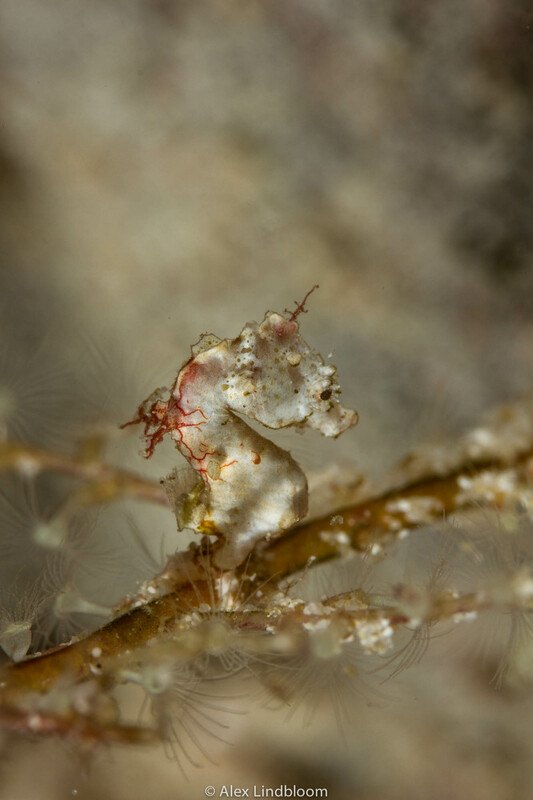 In one dive you could have four different species of pygmy seahorse, two different manta species, wobbegongs plus three other species of reef shark, various schools of reef and pelagic fish, and then the reef and incredible underwater topography, those are just the big ticket items. When you have your eye to the viewfinder, there is always that question running through your mind of, what am I missing? You’ll notice that once back onboard after the last dive of the day it’s always the photographers with the first beers in hand. Some may be celebrating a new species they found or a new potential award winning image. Others are realizing that no matter how many amazing shots they got that day the reality is that they still missed loads, and nothing softens that edge like a Bintang and an amazing sunset. When I return to a place after being absent for some time, I always wonder if it will be as good as the second time around. 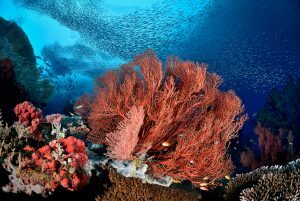 For many things in life this is the unfortunate truth, it’s not as good the second time, but not Raja Ampat. The amazement and inspiration that I felt on my first dive back was the same as my very immersion into the mystifying waters last year. 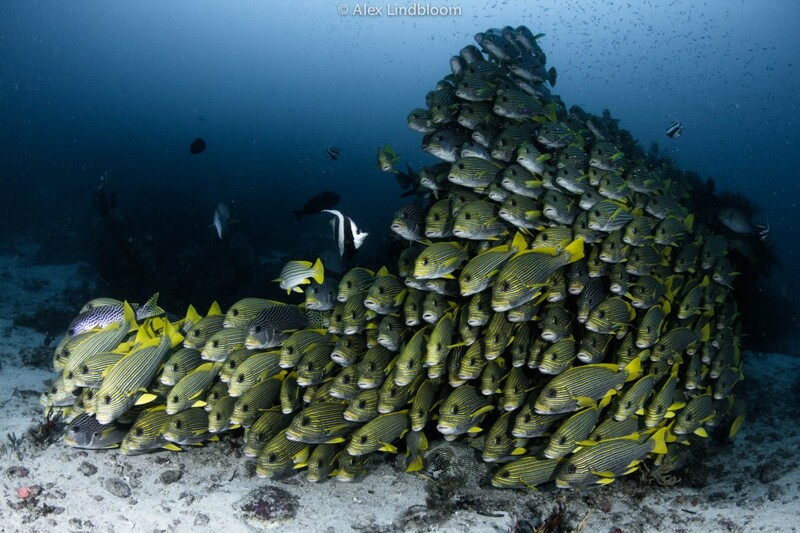 Born in the US, Alex Lindbloom fell in love with the ocean while on a university internship in Hawaii. 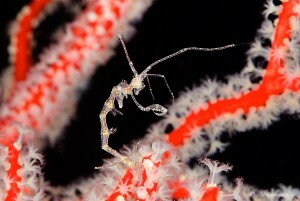 In 201o, in Thailand, he became a dive master and videographer. 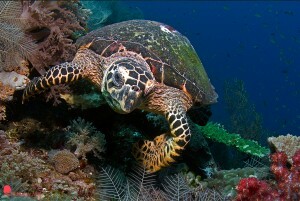 The following year he interned for Scubazoo, the highly regarded Malaysian underwater film company. 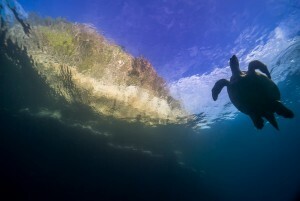 Since 2013 he has been working as Staff Photographer and Videographer for the Mermaid Fleet of live-aboards. To see more of Alex’s images click here, Alex Lindbloom.